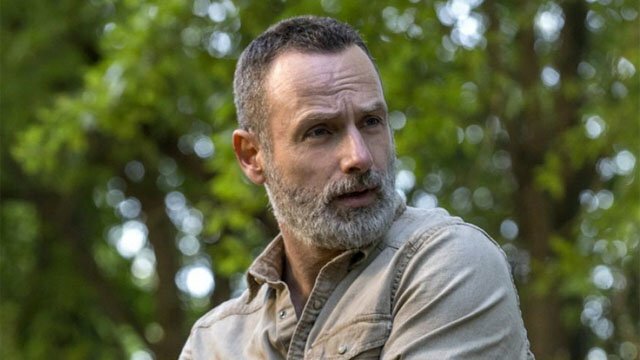 Rick Grimes’ time is almost up on The Walking Dead, and Andrew Lincoln only has two episodes left on the hit series. Regardless of Rick’s final fate, Lincoln isn’t riding off into the sunset just yet. Via ComicBook.com, Lincoln shared a heartfelt letter in which he said goodbye to the franchise. For coming with us on this journey. For the nine years of fear, heartache, anger and, let’s face it, guts you’ve shown by making it through these 115 episodes and counting. And for services to journalism that go way behind any civilized levels of human endurance. It’s been a wild ride, shaped by the relationship between the show and the fans of the show, and in no small part you good people of the press. I look forward to following your coverage of the show and my friends in Atlanta for seasons to come — what they have planned is quite incredible. So thank you. For all of it. For the good, the bad… and of course, we wouldn’t be a free press… without the ugly. Lincoln’s final episode of The Walking Dead will air on Sunday, November 4. What do you think about Lincoln’s Walking Dead farewell? Let us know in the comment section below!